Starring Hayden Christensen. . HD Wallpaper and background images in the Hayden Christensen club tagged: photo hayden christensen wallpaper fanart actor. This Hayden Christensen wallpaper might contain zeichen, plakat, text, tafel, schilder, poster, zeitung, papier, magazin, tabloid, rag, zeitschrift, lappen, boulevard, dokument, schriftliches dokument, papiere, and papiere geschrieben. Great picture! Is it some movie? 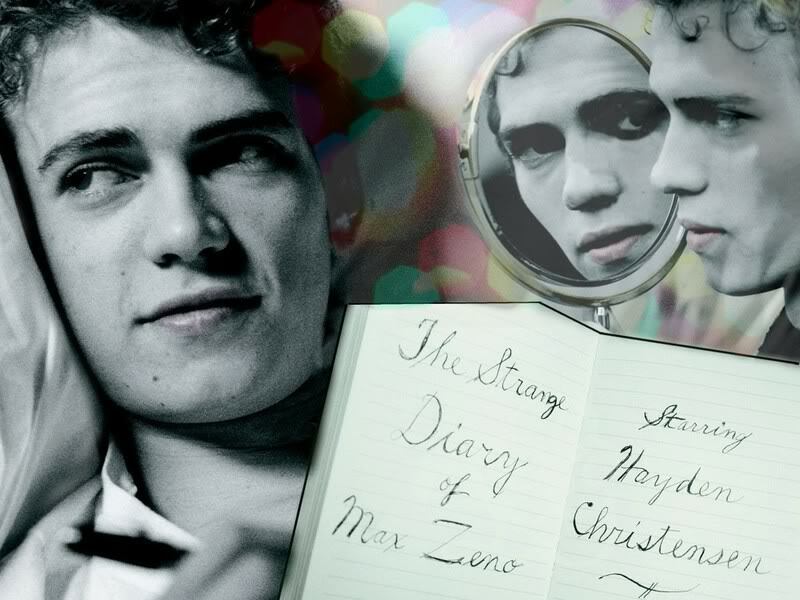 "The Strange Diary of Max Zieno." ? No I don't think so. I would know ;), I think it's the name of the artist who made this.